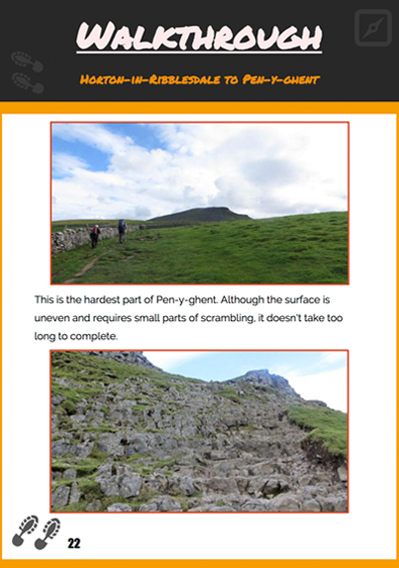 This ebook will see you through the Yorkshire Three Peaks Challenge without a hitch. There are photographs to familiarise yourself with the surroundings and to provide check points to ensure you don't get lost along the way. 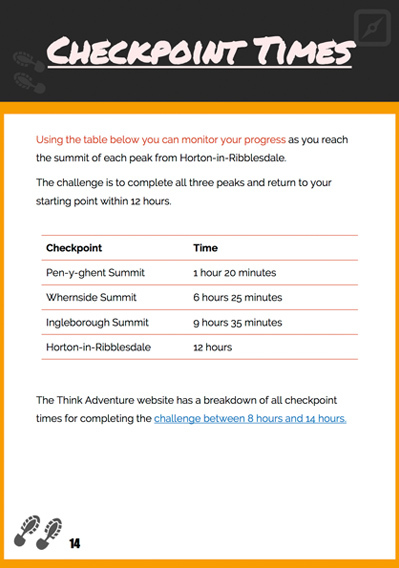 Many walkers make a mistake during their walk and jepordise their chance of completing the challenge within 12 hours. Unexpected detours can ruin your finish time. With the ebook you will know with confidence that you are walking the correct way. You can print the book or download it to your smartphone. The ebook is a collation of information from the Think Adventure website. 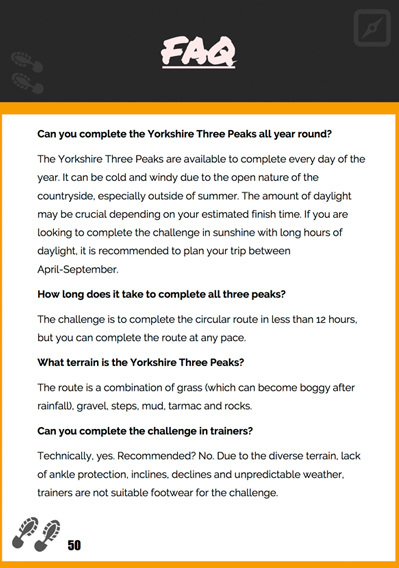 It is organised to assist your planning and walking of the Yorkshire Three Peaks Challenge. The ebook is a PDF and can be viewed offline and taken with you to the Yorkshire Dales. 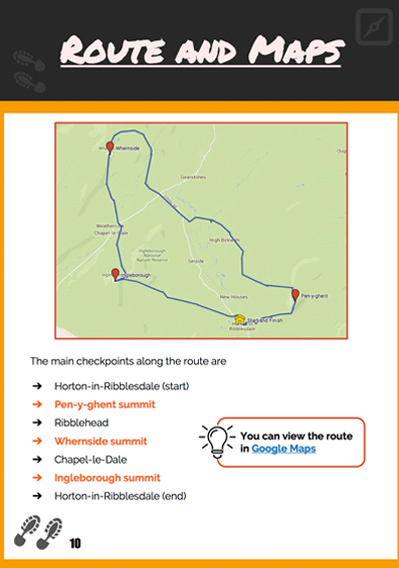 In addition to the ebook, you will receive a GPX file of the Yorkshire Three Peaks Challenge route. 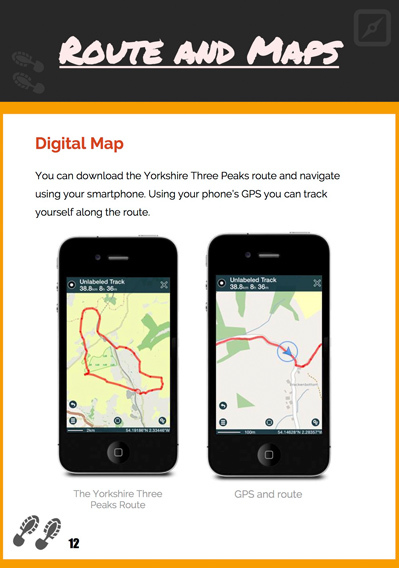 You can load the route on to your smartphone and use your smartphone's GPS to guide you.